They moved quickly and quietly for creatures of such substantial girth. Their coarse hair often hung over their eyes and was laced with straw and other debris. Yet they seemed approachable, soft and fuzzy enough that I wanted to rush and embrace them. But I obeyed and kept my distance. These are, despite the fence that binds them in Elk Island National Park, entirely wild creatures. In the still moments we only heard hooves crunching snow, but near the aptly named octagon, that near silence was disturbed by the clanking of metal as doors opened and closed. 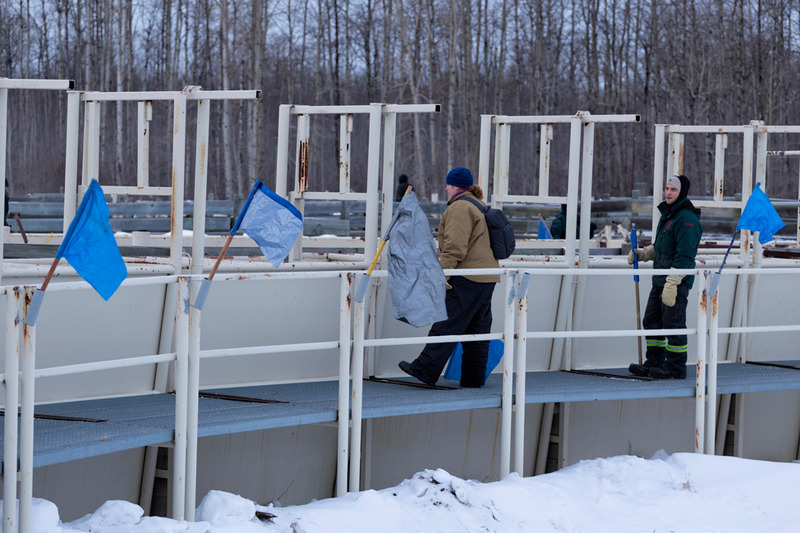 Several of the youngest bison were being moved through a giant maze to reach the station that would see them tested for disease ahead of a big trip south. 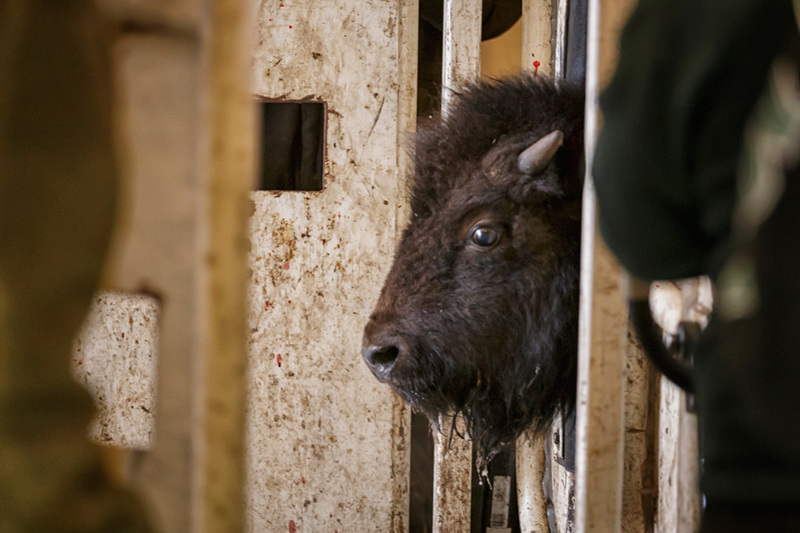 These particular Great Plains Bison were set to return to where the entire species almost died off, in Montana, for a large conservation project. Gone are the cowboy days of corralling by force. From one section to another they moved, until they were finally trapped in a slim enclosure, waiting for their turn. Some panicked, one even got flipped over, and staff raced to right the young calf. Others had blue flags lowered into their line of vision, the sight of that colour proven to calm the bison. They were soon shepherded through and back to roam again. And without understanding, of course, of the importance of their journey. “There is a long stretch of international history, all related to the bison,” Stephen said. It was in the early 1900s when their kind was almost entirely wiped out. A Montana native, Walking Coyote, started a herd after shooting a bison female while hunting, and the calves followed him back. He later joined forces with another, and together they grew their herd of a few dozen to over 500. It was during a time when the US government was trying to push out the native reservations and gave little regard to the fact that this herd even existed. 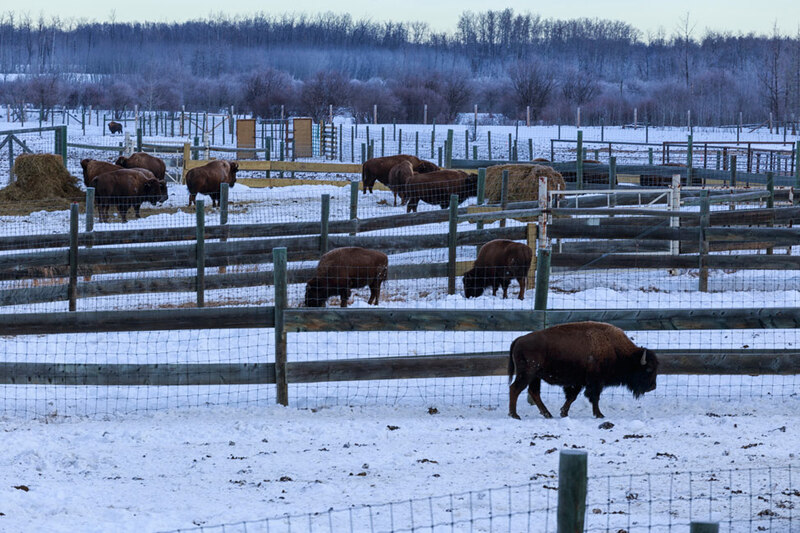 The Dominion Parks of Canada stepped in and promised safety for the bison. 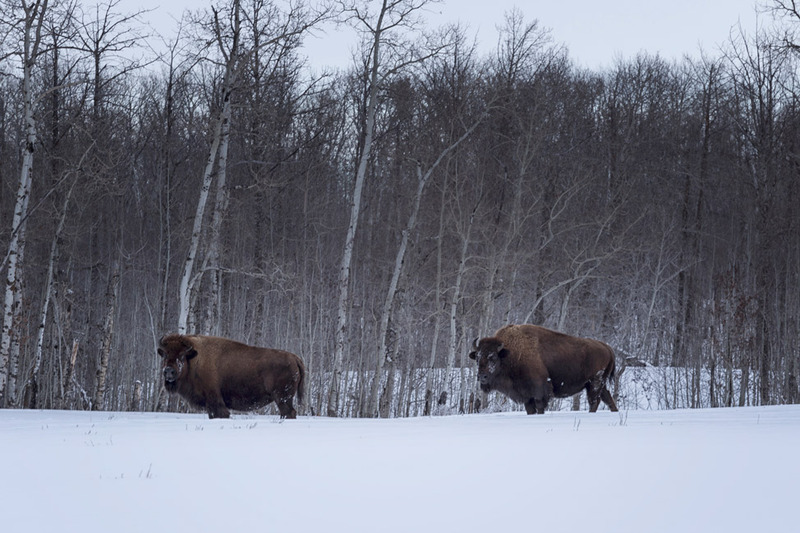 They’ve since been moved a couple of times, but now live free in Elk Island National Park, just east of Edmonton. The fence around them only exists to conserve; there is no other interaction with them except what is necessary. They are even handled only in winter, as the summer heat is too stressful for them. 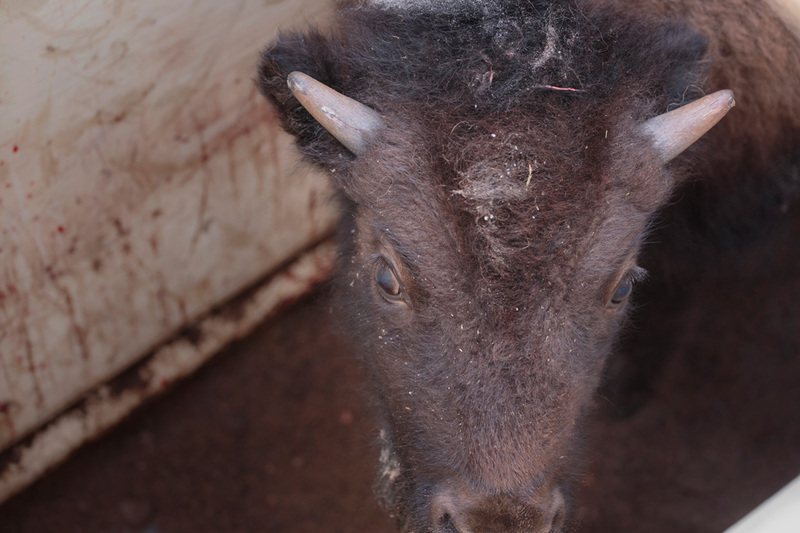 These Great Plans Bison now number above 800, and are the only purebred conservation stock that exist in the world. (Seen bison in your travels? They would have had some cow genes in them.) Those headed south to Montana are to help build another herd as a project of the American Prairie Reserve. And stock has even headed from Elk Island to as far as Russia. Sent via jet, thirty at a time made the big trip (ninety in total). “Russia?” I asked, confused why this stock would be introduced to an area to which they are not native. “Part of the reason we agreed to it is for calamity planning,” Stephen explained. “If something ever happens to wipe out the herds in the western hemisphere, the species will still exist somewhere else on the planet.” I was stunned by that response, not ever before thinking of the planning that must happen on that type of scale. But I’m glad that someone else does. If something ever happens to wipe out the herds in the western hemisphere, the species will still exist somewhere else on the planet. It always astounds me, the disregard that exists in many parts of the world for animals, and even moreso when it happened on my own continent in the past century. This visit was encouraging. The Park, just 35km east of Edmonton, is home to many other animals such as elk (of course! ), wood bison, moose, deer, beaver, and many types of birds. Tours are offered, and Stephen aspires to open it up even more with an interpretation center. For now, there are plenty of spots to cross-country ski and it’s a perfect place to observe northern lights when they are happening. In summer there is camping and lots of trails for hiking. For more information, visit the Parks Canada website. Many thanks to Travel Alberta and Edmonton Tourism for their assistance during our stay. As always, all opinions are our own. 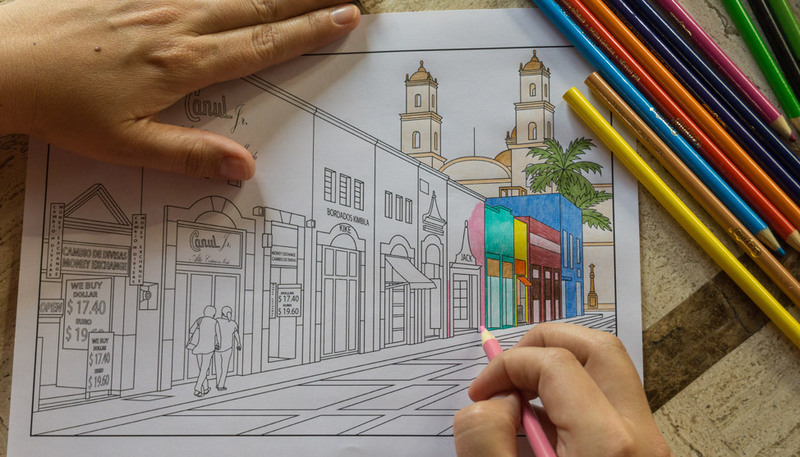 Colour your way around Mexico! 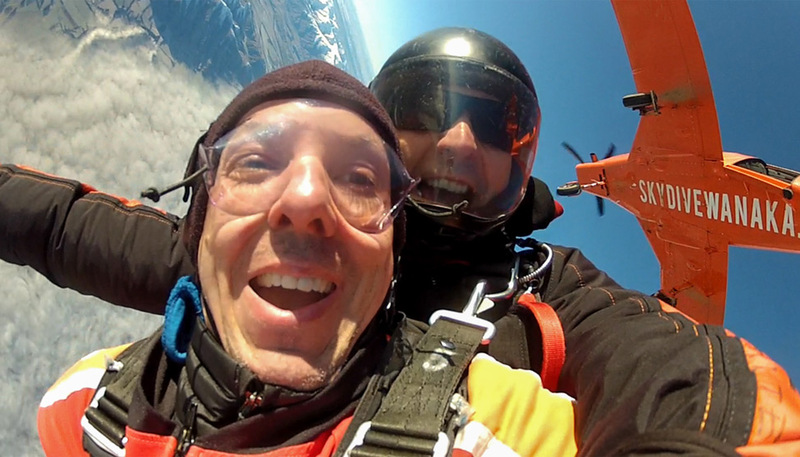 Jumping out of a perfectly good plane, strapped to a stranger. I think it is always so great to see and/or work with animals on travels. I try to do this (ethically) in many places that I travel…you can surprisingly learn a lot about a place by its wildlife and the role it plays in everyday society. And it’s so sad to see that the destruction of some species still takes place around the world…whether it be poaching in Africa, the brutal reality of shark finning (not sure that is a word!) in Asia, or the illegal hunting taking place in Quebec where nearly 100,000 animals have been illegally hunted in a single year (and over 15,000 were an endangered species). It really makes me hope that we learn soon and take the mistakes of the past and do everything to not recreate them! I had no idea about the illegal hunting in Quebec. That is an incredible number. This is so fascinating! I saw lots of buffalo in New Mexico and figured they were one in the same. It’s a shame they were nearly hunted to extinction in the first place. Really interesting! The story of the musk ox in North America is very similar; I learned a lot visiting a musk ox farm a couple of years ago in Alaska! O. I didn’t know bison is an endangered species. Actually, I had no idea bison exist in Canada! I thought they are only found in the mid-west region of the States… Clearly, I don’t know my animal habitats really well! I’m glad to know we are taking good care of them, though. That bit about Russia is amazing! 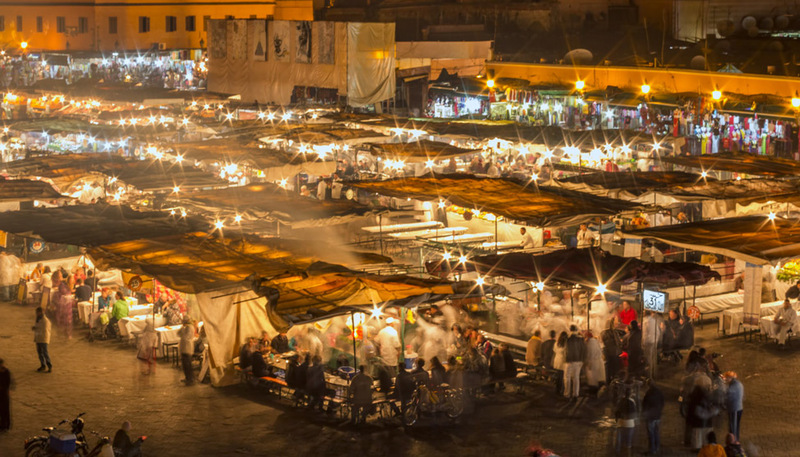 Great story and I enjoyed your photos too. They are somehow very cute! I agree! Not sure why, but they are! I really had no idea they were endangered! This was so interesting to read. I also love that last photo! Although I am not exactly an animal lover, I appreciate this one. I am glad to know that there are so many people, especially people from the travel industry are conscious towards saving animals. This is really interesting. I never realized that the bison around Montana were bred with cows. If you ever want to get up close and personal with bison (even if they are part cow) Yellowstone is a great place to go. There are no fences and the bison cross the road when they please and even poop in the local football field! Haha! I don’t think I’d want to get too close to the bison. They are so big! 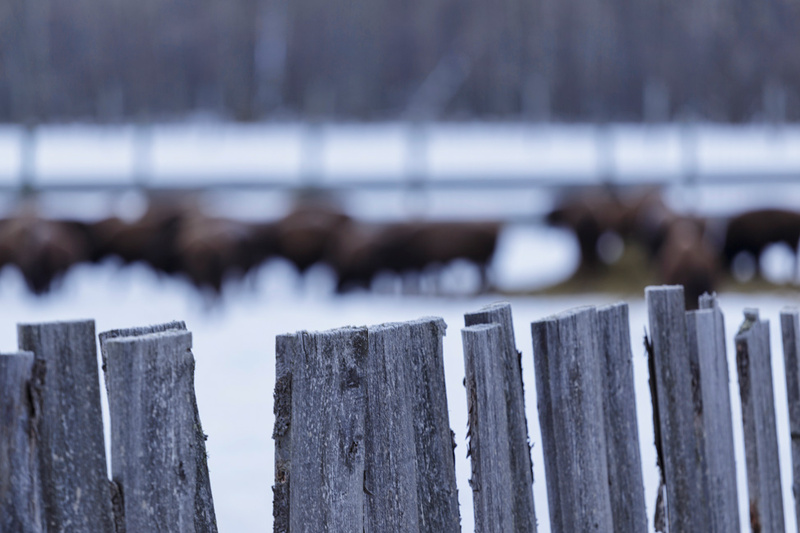 If you ever make it to Montana, Jackson Fork Ranch has one of the largest herds of Bison. They also raise the bison for meat, as it is very lean and tasty. Amazing story! I’m so glad that something is being done to keep them safe. And very cool that some have been sent to Russia to further their preservation. They really are amazing creatures. I am so glad that there are people around that think like this. What a wonderful place. Thanks for sharing.